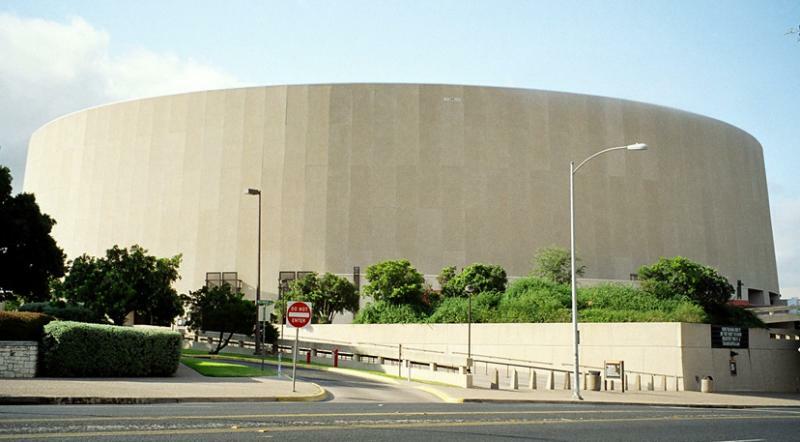 The Frank Erwin Center sits in the center of the stretch of Red River Street that will remain closed until 2015. 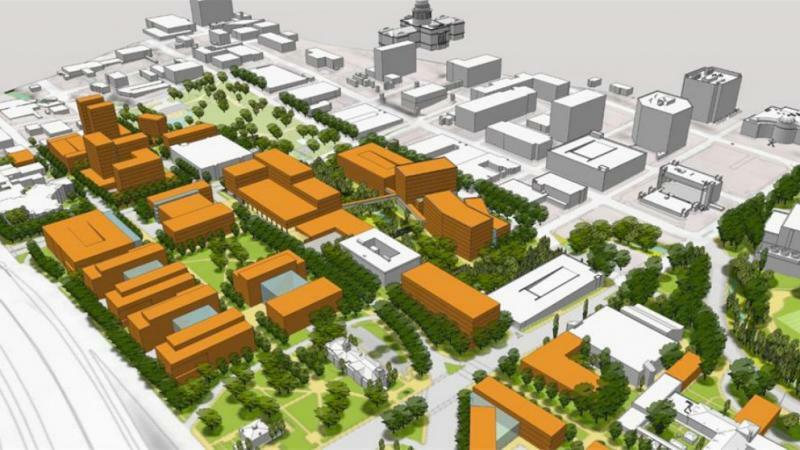 You may want to take a drive along Red River Street this weekend: it’s your last chance before the street is realigned to make way for UT-Austin's new Dell Medical School. Starting Monday, Red River Street will be closed from Martin Luther King Boulevard to 15th Street – and it’s not scheduled to re-open until January. 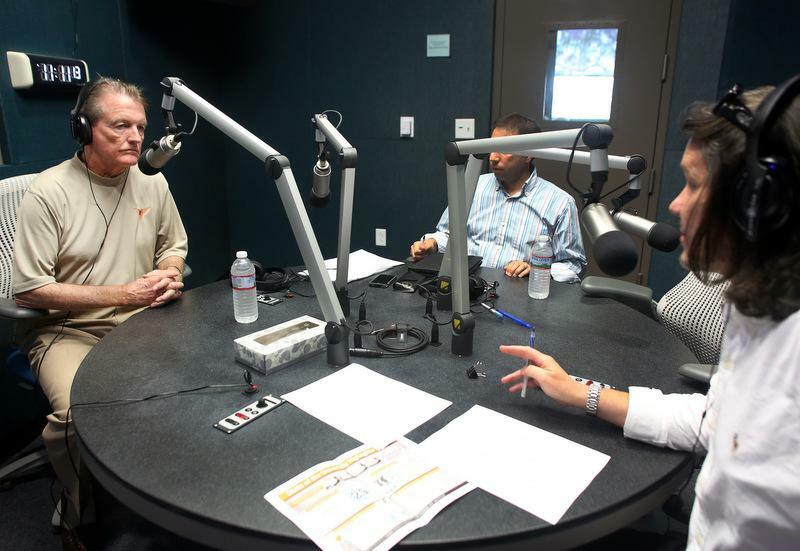 The University of Texas has more on the closures related to the medical school. The City of Austin notes related roadwork on MLK Boulevard could create traffic delays. University of Texas at Austin President William Powers Jr. takes on another role this October: chairman of the elite Association of American Universities, a prominent pedestal from which to shape the national conversation about higher education. Austin just might have heard a sneak preview of where he plans to go with that discussion, through his annual State of the University address delivered last week.